These beautiful creatures can detect a mouse from a distance of 250 feet! 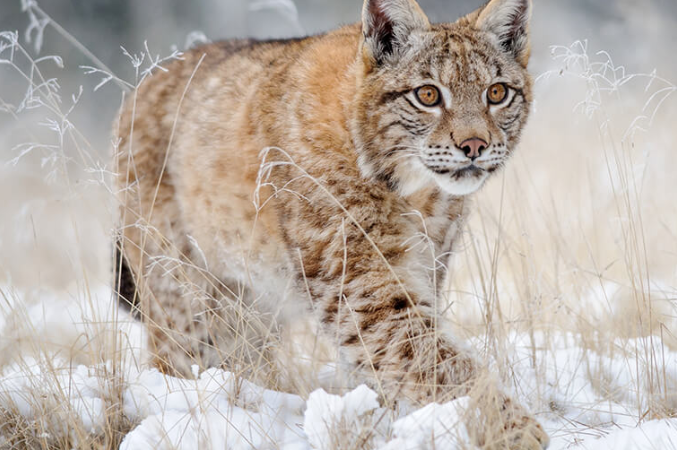 They are carnivores and usually hunt small mammals, such as snowshoe hares, mice, squirrels, and birds – some that are larger in size often hunt bigger animals, such as deer. 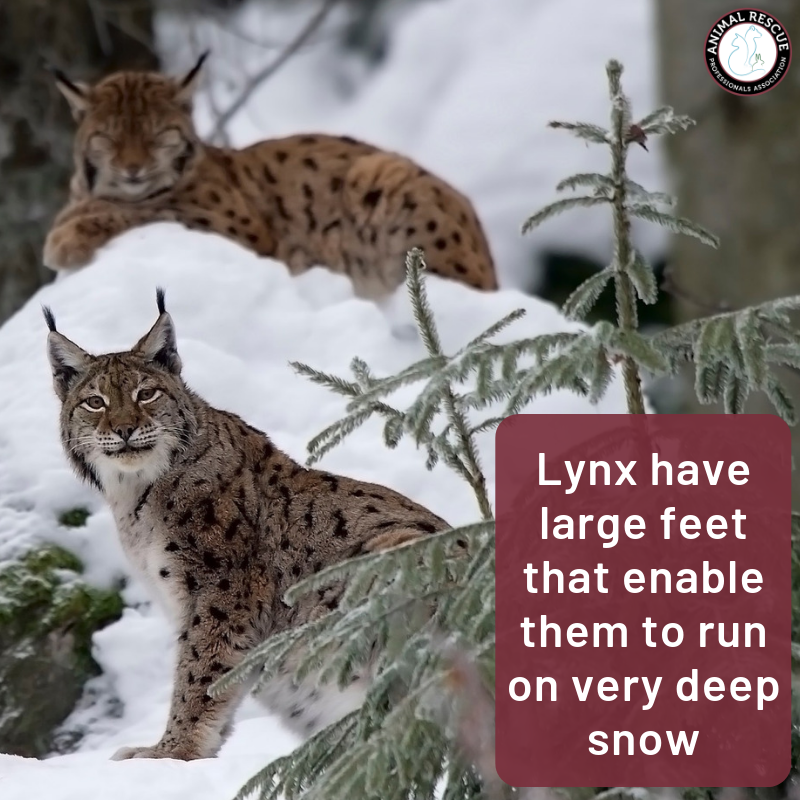 They find prey by sight and sound as they are not as swift or powerful a runner as some of their feline relatives. The males are competitive in their search for a mate. Females do not build nests, they prefer a natural, concealed lair such as under a rocky ledge, a hollow tree or beneath dense undergrowth to raise their young.